I’ve been shopping for spices again, but this time I think I went a little overboard. 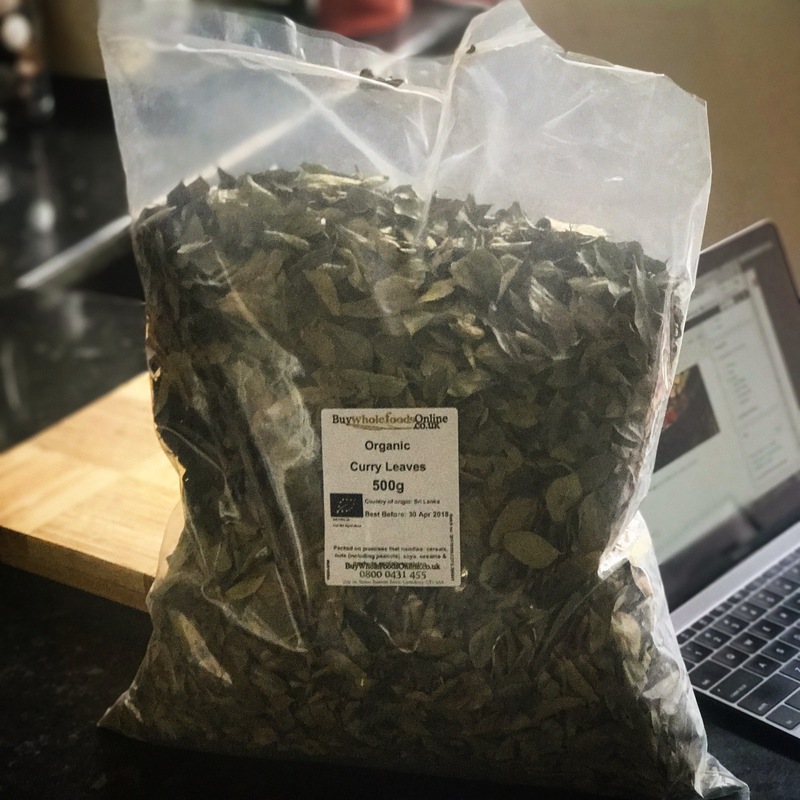 When I ordered 1kg of Szechuan peppercorns and 500g of curry leaves, I thought I’d have enough to keep me going for a while, but It turns out that spices are lighter than I thought. A lot lighter than I thought. And as a result, I now have a bag of curry leaves the size of a decent pillow and enough Szechuan peppercorns to last me and everyone I have ever met for at least a decade. Szechuan peppercorns though – they are unbelievably good. So good in fact that I’m annoyed it’s taken me so long to discover them for myself. They’ve always been there of course – providing the basis for that incredible mouth-numbing/tingling feeling you get with a really beautiful extra spicy szechuan pork and noodle soup (go to the New China restaurant on Gerard street if you haven’t experienced it. You can hardly see the soup for the chillies, I promise you won’t forget it). Anyway, the good news is that you can create that same mouth numbing feeling at home by introducing a generous heap of ground szechuan peppercorns (along with loads of chilli, garlic and ginger) to your wok as you cook. You really must try it. These are perfect for a sunday afternoon hangover. Hot, crispy, oily and spicy. Get your wok nice and hot and pour in a generous amount of cooking oil (I use rapeseed oil). When it’s smoking, add your chicken wings (they should be half covered in the oil) and cook them through on all sides until golden brown. In the meantime, roughly chop a large thumb of ginger and about 10 cloves of garlic, a red chilli and a few spring onions. 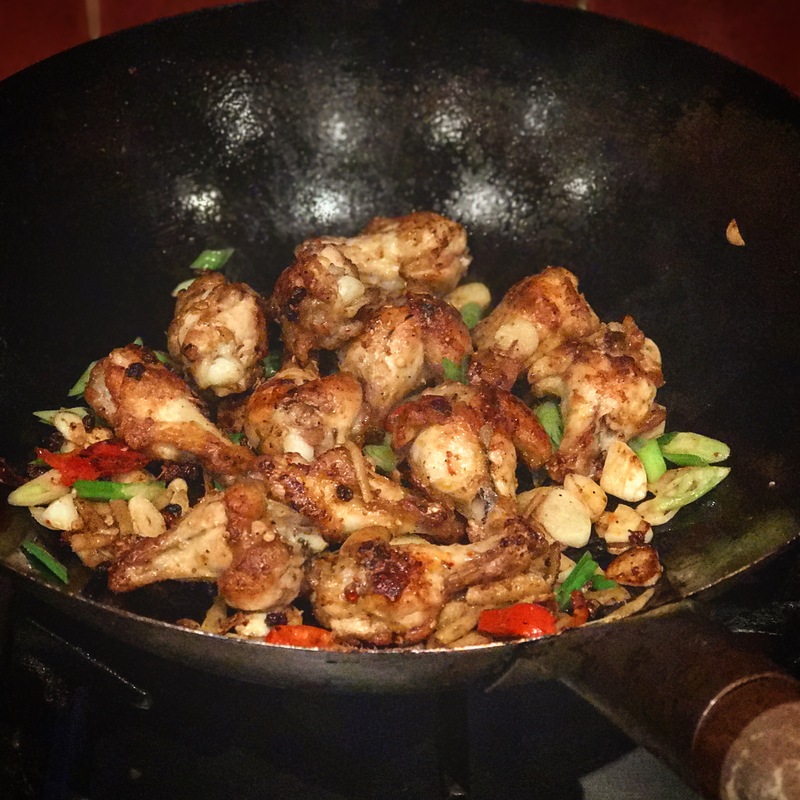 When the chicken wings are cooked, drain off the oil and throw in the chilli, garlic and ginger with the wings, along with a heaped tablespoon of ground szechuan peppercorns plenty of sea salt (I know that’s probably wrong but it really works) and a small tablespoon of Chiu Chow chilli oil. Toss it all together in the wok for a couple of minutes until the garlic and ginger start to crisp up a little and then turn it all out into a bowl and throw in the spring onions. That’s it – all done in less than ten minutes, spicy as hell and the most exciting thing you’ll have put in your mouth for months. And make sure you eat all the garlic and ginger bits. 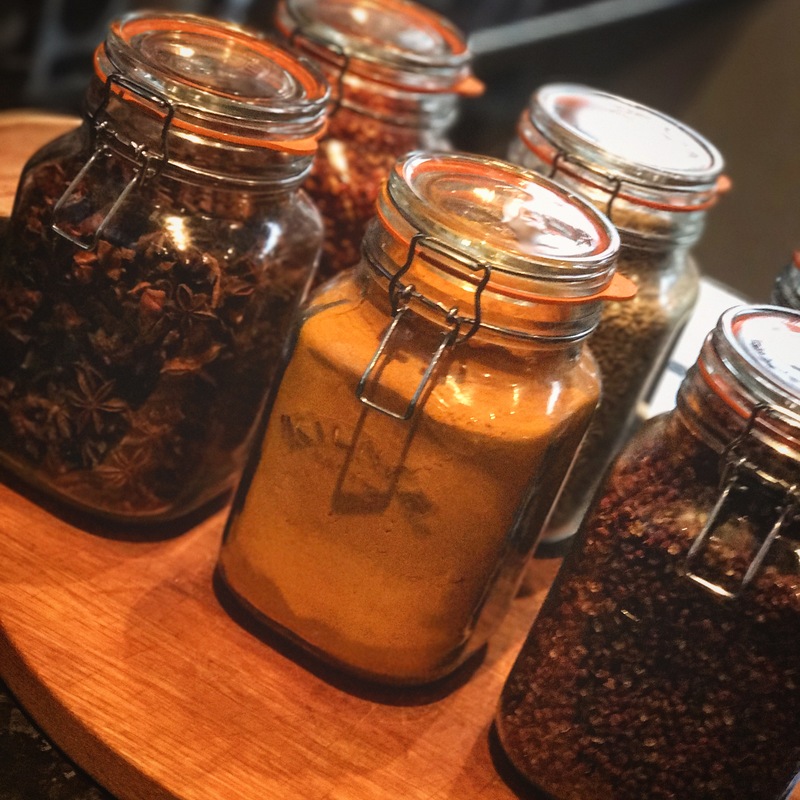 This entry was posted in Meaty and tagged chicken wings, chilli, pepper, Szechuan on February 18, 2017 by Jonny Kaldor.